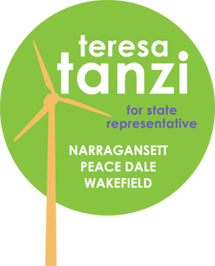 Teresa Tanzi: Can You Help? Campaigning for State Representative has been an amazing experience. Every day I feel the momentum building as I meet people who are excited to tell me, “I’ve heard about your campaign!” All the work of this past year, attending endless meetings, forums and community events and talking to people about the topics that matter most, is really paying off. We’ve sent hundreds of postcards to registered voters and ID’d several hundred more to go out soon. This week alone, our supporters have organized three house parties in the district. The campaign has made serious headway. We should be proud of how far we have come in the last year, but the real work still lies ahead. The next six months (which are the last six months before the September 14th primary!!) are where the work gets much more intensive, as do the costs. We will be spending money on mailings, yard signs, ads in the local newspapers, and software to efficiently run the campaign. All of that costs more than I would like. The meticulous (and low-cost) work of reaching out through networks of friends, neighbors and organizations is well underway. As we continue to expand our universe, the costs of that important work grow exponentially. We are half-way to our fundraising goal, and have you to thank for all of your past support. But, this second half has to happen in half the time. Please contribute what you can, and do so now. Whether it is $10 or $1,000, it will make a real difference in this grassroots campaign.